I got a bundt pan for Chanukah! 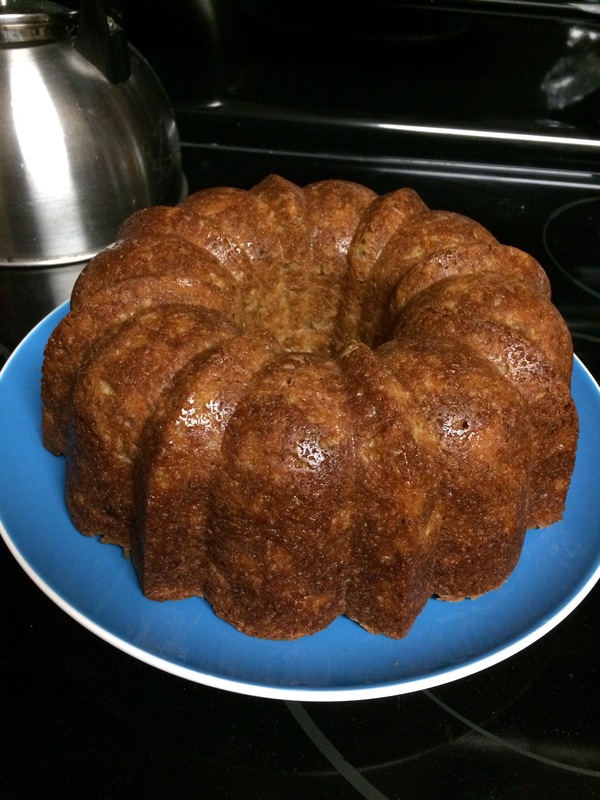 It’s the Nordicware Anniversary bundt pan, recommended by the Baked guys (of course). I wanted to make a bundt cake from the “Baked Occasions” book, but I also had to play to my audience for the particular occasion, which was Christmas. As someone else was bringing a chocolate dessert, that knocked out the particular bundt recipe I had in mind. 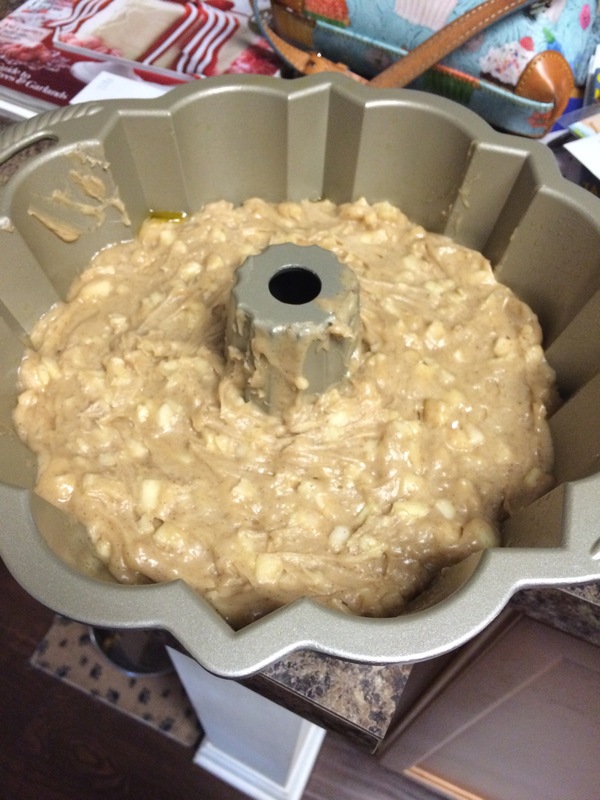 So I went searching, and found the perfect recipe from Sally’s Baking Addiction – Glazed Apple Bundt Cake. Not only was it a flavor that everyone would love, but I still have some apples left from apple picking in October! So this cake was baked completely from scratch, including self-picked apples. 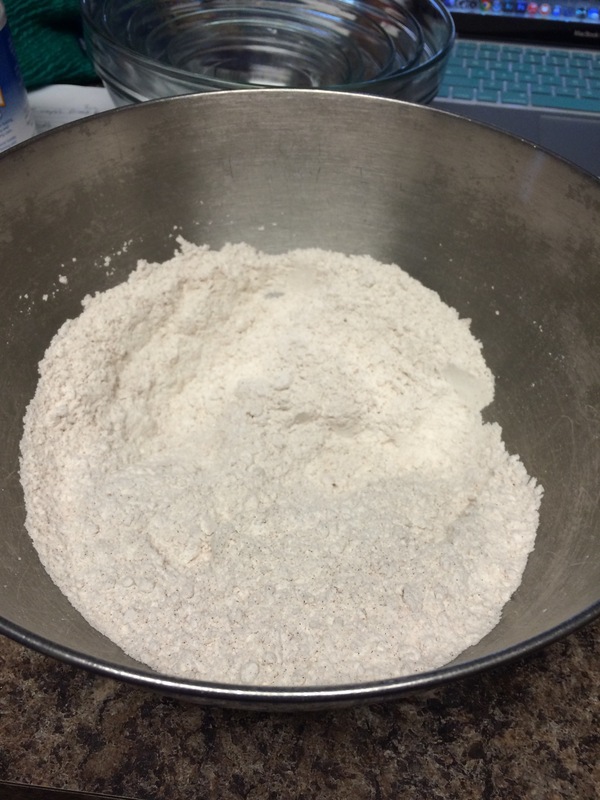 Dry ingredients were mixed together first. I love how cinnamon makes a flour mixture look speckled, almost like vanilla bean ice cream! Then the wet ingredients. This is definitely the most amount of oil I’ve ever used in a recipe, and I was a little nervous about it, but the sugar did a great job soaking it up. 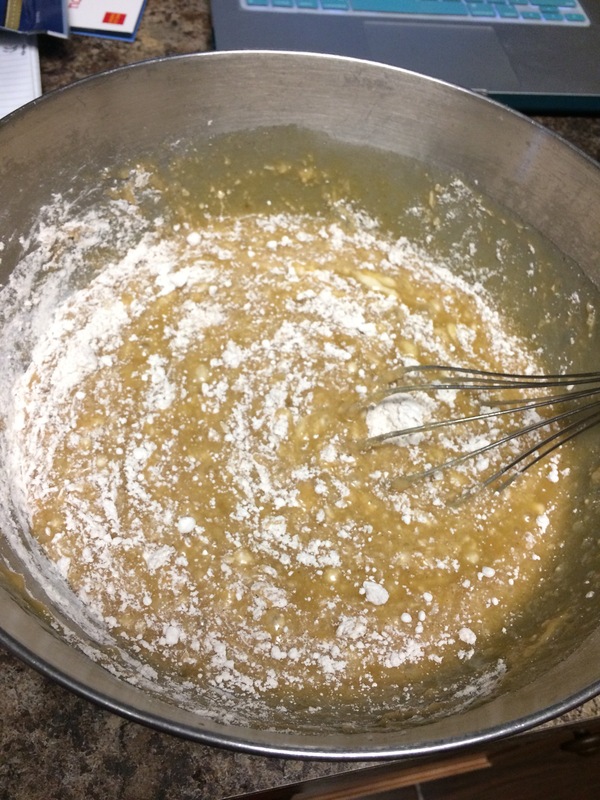 Wet ingredients whisked into the dry! Add the apples, and poured into the pan. The batter was heavy! I had to elicit help from the husband. I also realized after pouring it in that I had forgotten about the chopped pecans I wanted to add, so I just dumped them on top and slightly mixed them in. So all the nuts were on the bottom, but they were in there! It came out perfectly! I officially love this pan and want to use it for every cake. 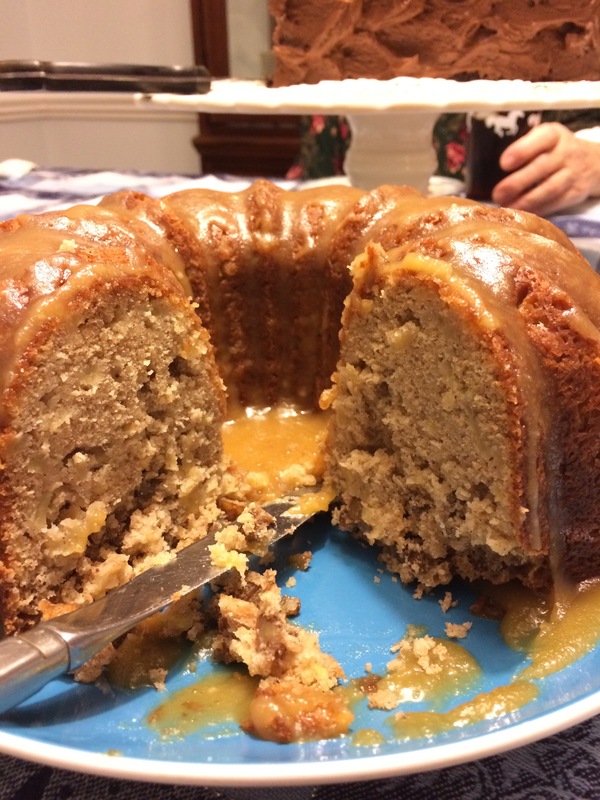 I made the cake on the 24th, but did the brown sugar glaze on the 25th at my in-laws’ house. 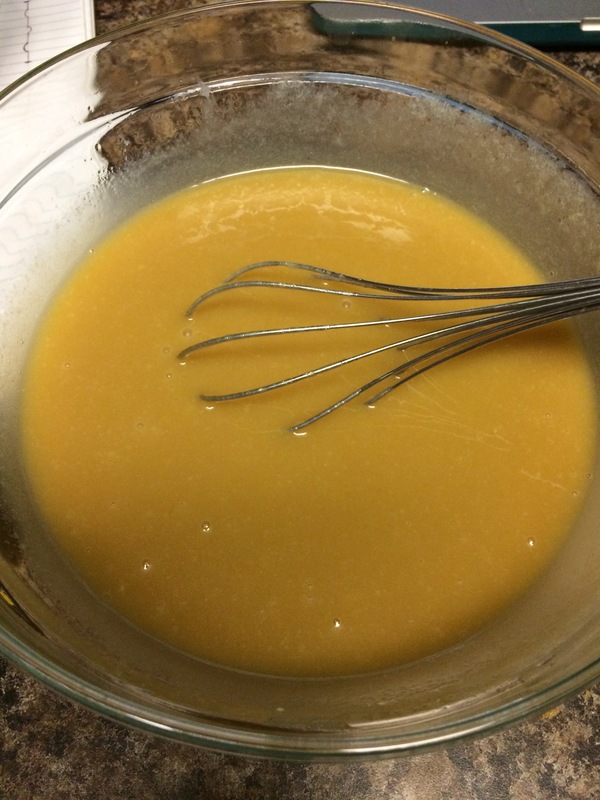 You really can’t go wrong with brown sugar, butter and heavy cream. The recipe made way more than what was needed for the cake! I put out the extra glaze with the cake in case anyone wanted more on their slice. Here’s an interior shot! You can see all the nuts on the bottom… oops! Nobody complained. 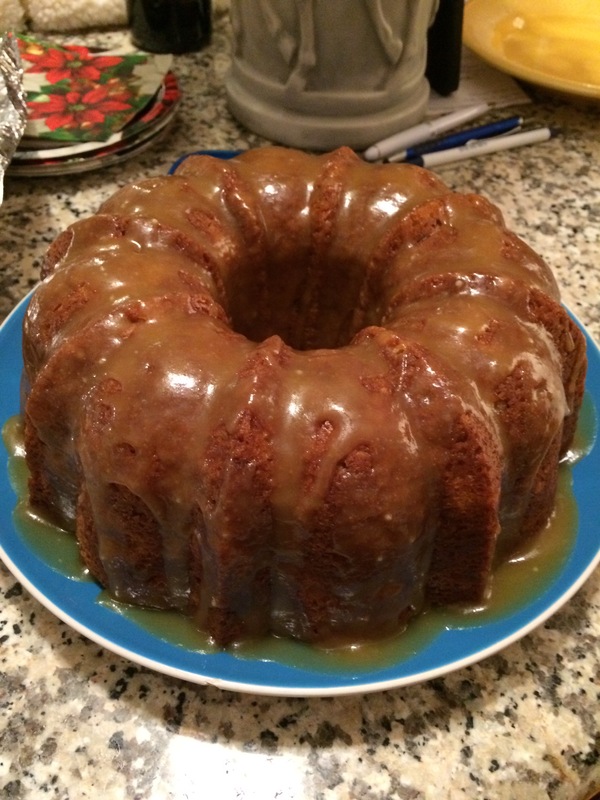 This was an excellent first bundt, so thanks as always for the delicious recipe, Sally! I can’t wait to make another one. Happy Chanukah, Merry Christmas, and happy almost 2015! Thanks for the note! Hopefully I remember to add the nuts before pouring the batter in the pan next time.